Say what? After numerous disappointments by broken promises regarding announced longer versions that eventually did not see the light of day, there was still some hope left that the newest sequel Texas Chainsaw 3D was not going to be yet another example of that. Since it had to be censored for the "R" rating in cinemas while the uncut version would have gotten only the infamous NC-17 classification, it seemed to be a self-fulfilling prophecy to expect that there would be the obligatory Unrated Version later on. All the more surprising was that the following announcement of the upcoming DVD/BD showed no sign of the uncensored version but rather brought the news that the "R" rated cut would be on the home video releases instead. 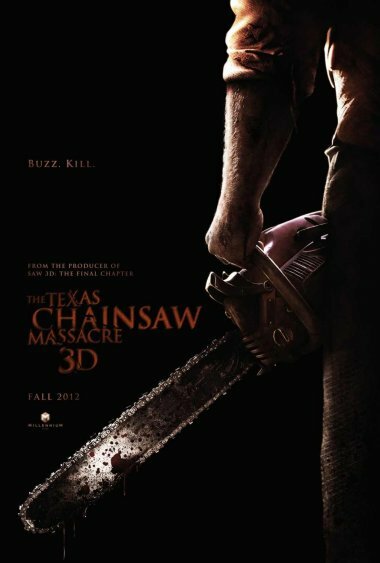 A punch in the face of true fans that expected to see the full carnage Texas Chainsaw 3D was initially offering. Take a ride with the UNRATED Texas Chainsaw, exclusively on digital download early April 30th. Pre-order on iTunes now. So, after all, there it is. The uncensored NC-17 version of the movie will be available exclusively via digital download. A similar release strategy could be observed over at Sony Pictures, who handled the distribution of Universal Soldier: Day of Reckoning in a similar fashion, giving American customers of the DVD and Blu-ray only the "R" rated cut while offering the NC-17 only via stream on demand. At least that did not affect countries outside of the US. For example, the UK and Canada got the uncensored version of the movie. Nevertheless, we can rejoice for now. The NC-17 version of Texas Chainsaw 3D lives and is out there somewhere.